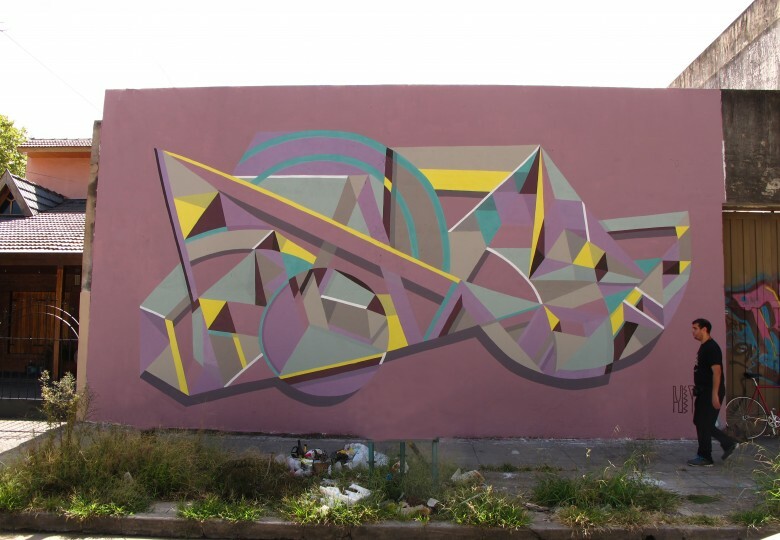 Poeta began painting in the streets in the year 2000, taking part in the first waves of graffiti and street art to develop in Buenos Aires. 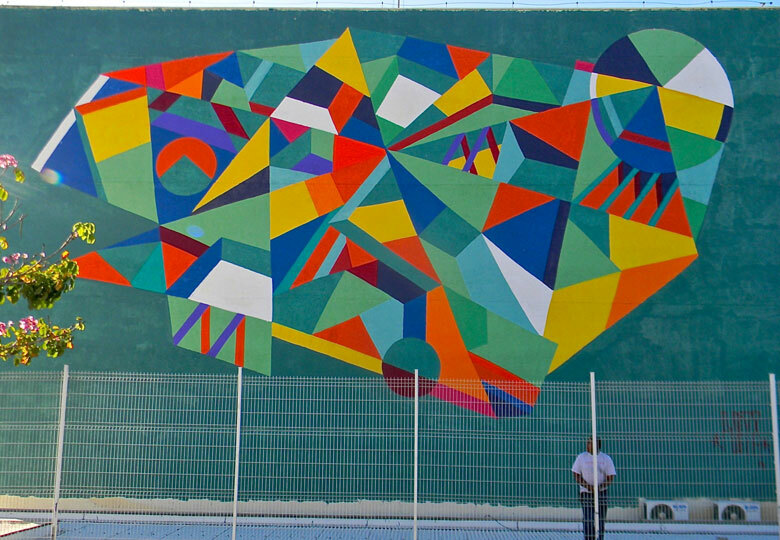 He credits the barrio of Villa Ballester, in the province of Buenos Aires, as his greatest influence. There, alongside the artist Roma he spent his formative years, developing his style and nurturing his desire to transform his surroundings. 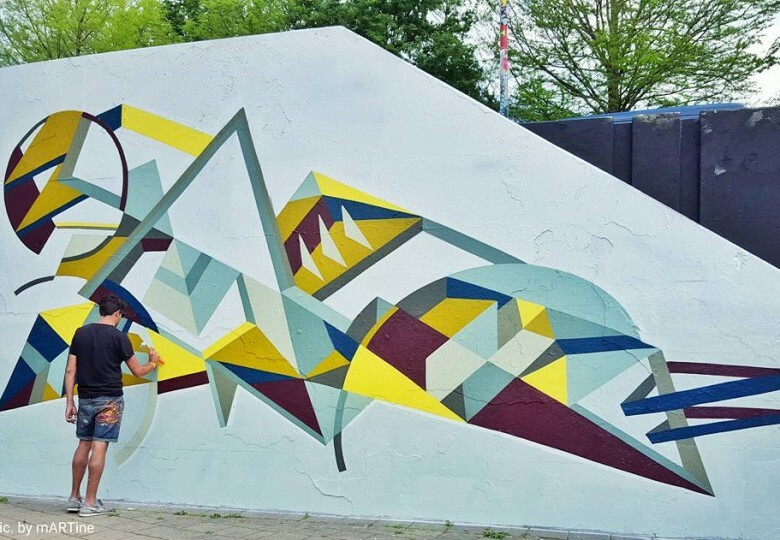 While his background is firmly entrenched in graffiti culture, he developed a muralism that has evolved from the figurative to the abstract. 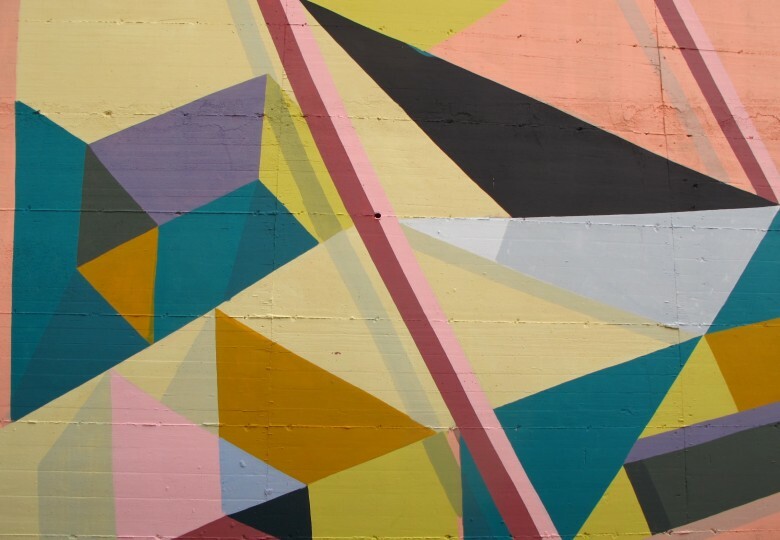 Poeta’s art explores color and form, in an abstract geometric style of saturated color and firm line. His striking puzzle-like compositions are inspired by his research in philosophy, mysticism and esoterica.